Cape Town, South Africa is simply a paradise and vacation destination. The capital city has various sites to behold, beaches, mountains, Gardens and Harbours. The city is where you find the Boulders Beach, home to about 3,000 adorable penguins. But in case you don’t fancy the beach, the city has the Sea Point Swimming Pool which is arguably one of the most scenic places to swim laps in the world and is open all year round. Of course, there is the Victoria and Alfred Waterfront that has become a tourist location. The waterfront is a harbour for dozens of yachts and boats including amazing restaurants with unique dishes, open bar catamaran cruises and shopping galore for fun seekers to relax and enjoy the view. Other exotic views of Cape Town range from the coloured neighbourhood (Bo-Kaap), the University, the food, music festival (AfrikaBurn), vineyards and the list definitely cannot be complete without the animals. Cairo, Egypt’s sprawling capital, is set on the Nile River. At its heart is Tahrir Square and the vast Egyptian Museum, a trove of antiquities including royal mummies and gilded King Tutankhamun artefacts. Nearby, Giza is the site of the iconic pyramids – already a tourist site, and Great Sphinx, dating to the 26th century BC. In Gezira Island’s leafy Zamalek district, 187m Cairo Tower affords panoramic city views. The ancient city of the Thousand Minarets offers splendid places to explore Egyptian history and culture. Housing at the heart of the city is expensive, however, transportation and food products are cheap due to ease of movement at every location within the city. It is also worth mentioning that the city is safe. Johannesburg is the largest city in South Africa with its sprawling Soweto township that was once home to Nelson Mandela and Desmond Tutu. Top sights to behold in the fast-growing city include the Constitution Hill, Constitutional Court, Apartheid Museum, Liliesleaf Farm, Spaza Art Gallary, Anglo American Head Office, Ponte City and Wits Art Museum. 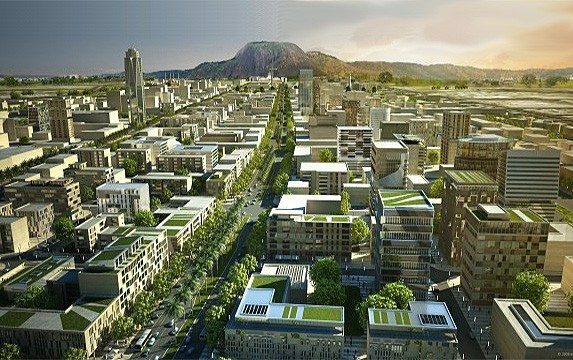 Angola’s capital city, Luanda is dope and the most expensive city in Africa and the world in 2015 as a result of three factors: booming oil economy, a limited supply of luxurious housing, and a high demand for such accommodations among expats. More than the capital city, Luanda is the largest city in Angola, located on the nation’s coast with the Atlantic Ocean, the Portuguese-speaking city is the chief seaport and the country’s administrative centre. Bata is the beautiful port city that lies on the Atlantic Ocean coast of Río Muni. The former capital of Equatorial Guinea, as well as the largest city, is a transport hub and port via timber and coffee, are the principal export. The international airport in Bata has flights to several cities, including the capital, Malabo. 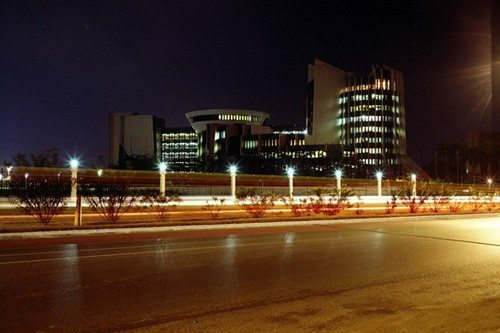 Besides nesting some of the country’s best hotels like the Panafrica, Bata is also known for its nightlife and market. Port Loius is the capital city of Mauritius with the view of the India Ocean. It is known for its French colonial architecture and the 19th-century Champ de Mars horse-racing track; the city also has a huge Central Market where vendors sell local produce and handicraft. The Blue Penny Museum is one of the top choice sites which focuses on the island’s colonial and maritime history, along with its culture. The thriving modern capital city of Nairobi is the second largest city in Kenya, behind Mombasa. More than the skyscrapers and English style buildings, there is the Nairobi National Park, a large game reserve known for breeding endangered black rhinos and home to giraffes, zebras and lions. Next to it is also an elephant orphanage – all of which makes the city a centre of attraction for tourists. Libreville is the largest port city (on the Komo River near the Gulf of Guinea) in Gabon. The city boast of a National Museum of Arts and Traditional, a colossal Presidential Palace which dates back to the 1970s, and the Monte-Bouet open-air market. Typical of cities nestling on seashores, the city’s seafront boulevard is lined with expensive hotels and stores. Libreville like other cities in Gabon experiences 9 months of rainfall and 3 months of dry season. The modern and well-planned capital of Zimbabwe was found in 1890 with multistoried buildings and tree-lined avenues. Industrialization during and after World War II led to an influx of population, hence Harare became the centre of Zimbabwe’s industry and commerce, a hub of rail, road, and air transport. Lagos is Nigeria’s largest urban area, a major financial centre and would be the fifth largest economy in Africa if it were a country. Behind the city’s southern borders lies the Atlantic Ocean (22% of its 3,577 km2 are lagoons and creeks). With a population of about 16 million people, the Island city bubbles with commercial activities, a juicy target for potential investors from around the world. Shopping complexes and business centres are located in skyscraper buildings. The architectural styles in the former capital of Nigeria are diverse and range from tropical, vernacular to colonial European, Brazilian and ultramodern buildings.